Does Foam Rolling Work or is it a Waste of Time? Most people who participate in regular activity or sport have at one time used foam rollers. They have risen in popularity over the years as we all attempt to iron out those kinks in our sore muscles. There are guys out there like Kelly Starrett, famously known as the Supple Leopard, who are screaming about the benefits. But a couple of big questions remain, and I am sure as you have rolled over your ITB for the millionth time you have thought the same thing. Is what I am doing actually working? I mean we get this question all the time? Is it just a big waste of time, or is it worthwhile? So we have gone to length to answer the question does it actually work, and am I doing it the correct way to get the most out of it? A lot of these unanswered questions stem from a difference of opinion as to what we are really doing to our bodies when we foam roll. To understand this, first we need a quick anatomy lesson. Our muscles are made up of fibers that get bunched into bundles. These bundles then form together to make up the muscle unit. These muscles are housed in place by connective tissue called fascia. Fascia is strong and dense and wraps up our muscles like glad wrap. It gives them shape, holds them in place, and helps transmit forces from one body part to another. Previously it was thought this connective tissue was quite inert. Recent research however by Shleip et al 2012 has discovered that this tissue is alive. It has many cells that respond to mechanical pressure, they expand and contract, and can stretch move and alter their form like other tissues. So more than just being a casing for muscle, it is now believed to a living lattice that connects everything in our bodies. In his 2012 paper, Training Principals for Fascial Connective Tissue, Shleip identified that fascial tissues have a connective recoil element to them. Think of it as a spring. It gets pulled to absorb energy, and then releases to unload it. This recoil element helps us jump, run, throw, swing, stop ourselves falling and many more. If this recoil element becomes overloaded or dysfunctional, it can lead to pain and problems. The other issue is to realize that over two-thirds of fascia is made up of water. It essentially acts like a big sponge, and it responds well to load, because that is what it’s made for. With extended loading or stretching, this water can be pushed or forced out of the tissues (Chaitow, 2009), and new fluid floods in – refreshing and rejuvenating it to keep it healthy. Here is the contentious part. One school of thought believes when we foam roll we simply just influencing our nervous system which helps to desensitize it and reduce pain. All pain and movement is governed by our nervous system. Are There Foam Rolling and Manual Therapy Benefits? A lot of recent research is telling us that the manual therapies of the past (spinal manipulation, dry needling, deep tissue massage etc) are not actually changing the length and shape of tissues, but rather the neural inputs into those tissues, helping our nervous system to experience fewer symptoms. However, there is still another school of thought that believes because it can contract and move, when we do things to it we are influencing the fascia and changing its mechanical properties. 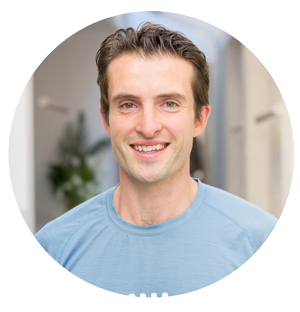 Even though many new age practitioners will tell you we are not mechanics and the body can’t be changed like that, (check out this guys blog if you don’t believe us. However, we still think there is more research to be done, as neither side of the argument can categorically say their approach is better. Sooooo, we put together a foam roller exercise protocol to cover both bases. Simply put, our program helps to potentially load and release the muscle (myo) and fascia together (myofascial release) as Schleip discovered, knowing we also are inputting the central nervous system as well. The most amazing thing about both systems no matter who you believe, is that with the right stimulus, they can remodel and change what we feel, which is reduced tightness and pain. Even after horrific accidents, long-term disuse like being in plaster casts, shocking burns and more, with the right load these tissues can change and adapt. So, our physiotherapy team at Sum Of Us have come to the conclusion that to correct a myofascial problem, you can’t just apply pressure. First, you need to train and load the elastic recoil elements of the fascia, to help it remodel. Secondly, you then need to use techniques to apply slow mechanical pressure to help to rehydrate the fibers or decrease the afferent sensitivity. So, we created a protocol to do both to give you the biggest return on your time investment. Here’s how to use a foam roller to relieve painful trigger point muscle tightness. Let’s imagine you are a runner, and you are getting tightness in your calf and Achilles, which is the muscle and tendon at the bottom of the leg attaching to your heel. Stretching just doesn’t seem to alleviate the problem, and it feels knotted and tight in certain spots. You had a massage last week, but your tightness came back the following weekend, so you are looking for a longer lasting effect. This means you are probably a good candidate to follow this protocol. You need to dynamically load the elastic recoil elements of the myofascial structures first. This means you need to perform concentric and eccentric movements up and down with sufficient load. For this example – Stand on the edge of a step, and let your heels quickly (but controlled) move up and down in short, sharp movements. Do this for 45 seconds. You may feel your calf working, but stop the exercise if pain is present, and go and see your physio. You may have a tendon problem, which requires a completely different protocol. Immediately re-hydrate the fibers or change the neural inputs into the leg, to help reduce your pain. Lay the roller down and cross your legs. Press your Achilles down into the roller and use a strong slow up and down method to apply pressure. Do this for 45 seconds, finding tender spots. If you find a particularly tender spot, hold for 5 seconds, then continue rolling. Monitor your pain and tightness. This protocol can be performed every second day if your symptoms are not getting worse. Do this in conjunction with a good strengthening and stretching program, and you will have far superior results out of your foam roller. You can do this for any body part, you just need to create a dynamic movement for step 1 that loads the tissues appropriately. If you have concerns, go and see your local physio or trainer and they will be able to give you the appropriate help you need. – Training principles for fascial connective tissues: scientific foundation and suggested practical applications. – Schleip R1, Müller DG.